Depending on where you live, this title has a different target. In Israel, it has been the decades’ long probes into the Netanyahus, covered maliciously by a hyperventilating media seemingly in heat, or at least fevered excitement. In America, it has been the year of unending accusations from the leftist media, politic and enraged public factions known as #Resistance and their unceasing assault against President Trump. 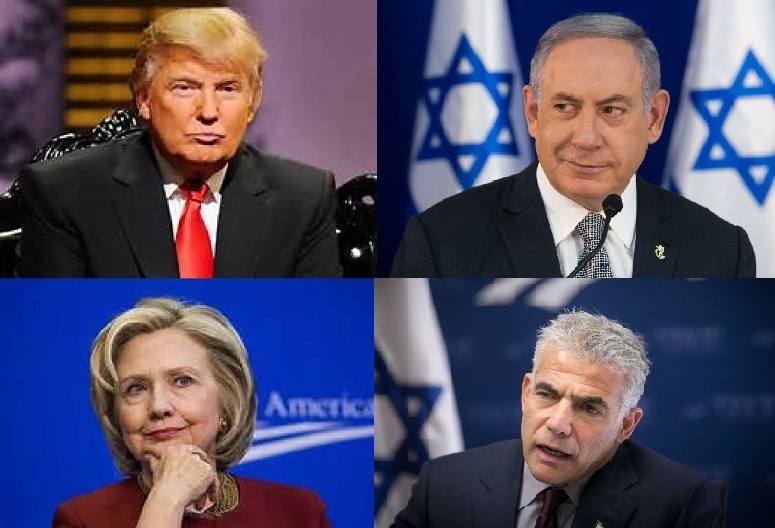 In both nations, the previous election was polled to be a walkover for the leftist candidates ending the time for Prime Minister Netanyahu in office and sending candidate Donald Trump back to his real estate business. In both elections, the left was shocked when Donald Trump was elected President and Netanyahu retained and gained seats in the Knesset giving him a somewhat more comfortable hold on power. Since each man has taken office, they have been investigated, and investigated, and investigated with an indictment coming at any moment. Over the years, the Israeli police, whose leadership has a definitively leftward leaning, have investigated the Netanyahu’s ice cream bill, his wife’s hair styling costs, and now his receiving cigars and champagne as gifts from friends who came for dinner. Perhaps they should have requested less expensive dinner gifts, perhaps a goldfish, puppy, kitten or snake (the media would ask why the pet snake was not venomous). Trump is being investigated for collusion with the Russians to win the election. In the most recent investigation into Prime Minister Netanyahu it is very interesting that the main witness against Netanyahu is Yair Lapid, the leader of an opposition party who fashions himself the best replacement for the position of Prime Minister should Netanyahu be removed. One has to wonder how strong a case you have when you are depending on the subject of the whole investigation’s primary rival for office. In the investigation against President Trump the main evidence apparently came from a piece of fiction produced by his election rival Hillary Clinton’s paid investigation where her campaign colluded with Russians to produce dirt on Donald Trump. As a layman, one can only wonder how strong the evidence or charges could possibly be when the person investigated is facing charges produced or provided by their political rival. Still, this has not and will not prevent these investigations from having an impetus with media and public demands from the left demanding charges, removal from office by impeachment for Trump and resignation for Netanyahu. Yair Lapid supporters are convinced that should a new election be forced, then his party will be chosen to form a coalition, as they will gain more mandates (seats in the Knesset) than Netanyahu’s Likud Party. Many of the Hillary Clinton supporters mistakenly believe that should Trump be forced from office by resignation or impeachment and Russian collusion be proven in the election, then Hillary Clinton will be swept into the Oval Office by some miraculous decision from on high, we just have no idea how high as such would be against the line of succession and completely unprecedented. So, what can we say and learn from these two cases? The obvious call is that the left side of the political spectrum believes that they and they alone are the supreme chosen to lead their respective nations and anybody else must be hounded and forced from office. They appear to believe that their visions for the future are the sole prescription for the continued survival and health of human societal structures and individuals. Their prognostication over climate change; which historically included the predictions of a coming ice age in the 1970’s which became global warming by the late 1980’s and finally to include any and every change, global climate change currently, is the only valid explanation and any disagreement is a sure sign of a devious desire to make obscene profits while risking the lives of humankind. Their designs for fiscal survivability are the one means of sustaining the health of the planet and sustaining the economy. They are the wise leaders who are aware that the reason their ideas have failed is simply because insufficient investment has been made. Their idea for unfettered immigration is the best prescription for the health and diversity of the population and that all who enter their nation are deserving of citizenship. They know that their ideas of reducing military capability and the removal of their nation’s nuclear arsenals is the best means of leading by example and will lead to peace. Basically stated, they are the least corrupt no matter how much corruption is found as they only do these things to bring about the best for everyone. Their being the sole people permitted to rule is also the best possible for everyone. The only reason their ideas have failed was because just when they were about to show fruit the conservative right wing lunatics took over and ruined everything. They must prevent those right wing conservatives from ever taking or keeping power if their ideas are ever going to work to fruition. This is why they are fighting with such fervor to remove Trump and Netanyahu and replace them with their rivals, Lapid and Clinton. Oh, and do not try and reason with them as you are wrong even before you start and the sooner you realize this, the better off you will be in the end. After all, if you simply come around and see everything as they do, then you will not be required to be placed into a reeducation center. Well, the leftist temper tantrum is a month old today so it only seemed right to acknowledge the courage, dedication and stamina of so many of these demonstrators to continue this long and with such enthusiasm, it is almost admirable. One might ask to what end they believe they are working towards but that would be silly, they have made that evidently clear. Their aim is to drive President Trump from office and put the rightful winner of the election in the Oval Office, Hillary Clinton. Somebody should inform them that there is a huge snag in their plan, that darned Constitution thing again. Drive Donald Trump from office and then there will be Mike Pence taking the Oath of Office. And should they then chase Mike Pence from office before he could have his appointment for his replacement through the Senate, something their allies in the Senate appear to be quite adept at doing, then the Speaker of the House, Paul Ryan, would become the President. I’m not sure if this force Trump from office idea has been completely thought out as each step appears to make things get even worse as people more familiar with how to get things through Washington come into power and each time with even further right views. As a matter of fact, if one goes through the entire list of progression you need to go really deep, wait a minute, no, Hillary Clinton is nowhere on that list whatsoever. Well, perhaps they have some other ideas on how to get Hillary Clinton or whomever they desire into the Oval Office, though short of a revolution I do not see how. We gave that idea a brief glancing concern in our article The Fascist Playbook is Being Repeated Now all in hopes that whoever and whatever is behind, pushing and financing these protests, and especially the senseless violence, are not hoping to force a revolution and end the great experiment in self-governance which is the United States of America. There has always been a group of elitists who held that mankind is too ignorant, too stupid, too impatient, too selfish, too immature, too anything you could mention to be permitted the luxury of ruling themselves. Initially they were the royalty, the emperors, kings, queens, barons and the land owners. At the same time there was a second group who also believed mankind, including the ruling class of kings, queens, etcetera were too limited in all manner of ways to rule themselves; this was the Church centered in Rome. The kings and queens and their ilk figured their exceptional breeding made them the special chosen by Hashem to rule and this gave them the right and wisdom to rule. That idea does not even deserve argument as a simple perusing through the kings and queens and other nobles and one sees they were so wrong as many were seriously flawed and ignorant little people. The Church was a different subject as the Church could rely on a group intellect which gave them a better position for wisdom and proper rule but they too had a damning limitation, their reliance on the Bible as they interpreted it and their blindness to science and change. They saw science as a threat rather than a tool and refused to use any of its wisdom or ideas which had them living with falsehoods similar to the fake news of today. The Church splintered in the Protestant Reformation and never recovered their lost power and today only maintains an advisory role with merely a fragment of their former power. Now there are some elites with great wealth who believe their wealth means they have the superior abilities and should craft the society in their images. 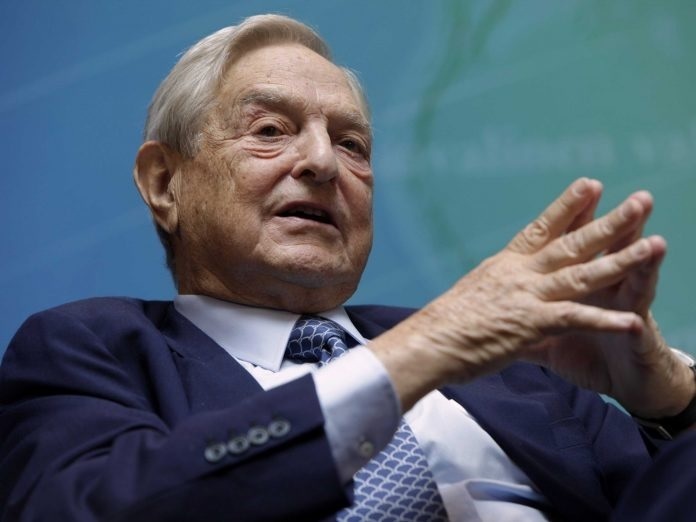 One such is George Soros who once stated, “I carried some rather potent messianic fantasies with me from childhood, which I felt I had to control otherwise they might get me into trouble.” Just like those elitists from the past, today’s wunderkind are just as clueless and blind to their weaknesses and faults which will have their attempts to guide humanity fail just as have the previous attempts. There is another group which has always believed they are actually the ones who should lead the whole of humankind as they have this concept where the savior is government and if only the government with its collective wisdom was granted ultimate power they could solve every problem and steer society through all the potential storms, threats and difficulties. This group is made up of predominantly the socialist, big government, regulation intensive leftists. These politically active individuals believe that they are correct and know the only solutions which could possibly work and insist that because of their superior intellects and greater education and other singular attributes, they should be the sole people to hold the reins of power. That is the problem, their selected candidate, Hillary Clinton, somehow was not as unbeatable as the media had painted her during the campaign. Making matters all the worse, the candidate who won the election was, according to the leftist elites, an idiot and incompetent buffoon full of bluster, braggadocios and simple minded to boot. They view President Donald Trump as completely unfit to hold the office of President and are willing to go to any extent to remove him from office and place somebody who is knowledgeable and competent into the Oval Office. One recent example comes from President Trump’s claim that he has tried and tried to arrange a meeting with Maryland Representative and Chairman of the Congressional Black Congress Elijah Cummings stating inferring actuality that, “He [Congressman Elijah Cummings], wanted it [a meeting], but we called, called, called, called. They can’t make a meeting with him. Every day I walk in I say, ‘I would like to meet with him, because I do want to solve the problem.’ But he probably was told by [Senator Chuck] Schumer or somebody like that — some other lightweight — he was probably told, ‘Don’t meet with Trump. It’s bad politics.’ And that’s part of the problem with this country.” It will be a matter of time, if it has not already happened, that some journalist or political figure will come out stating that they have talked with or have it on the highest authority that Donald Trump has not asked to meet Representative Cummings more than one reference in a speech somewhere or that Senator Schumer has not told Representative Cummings whether or not to meet with the President, that is if they refer to President Trump by his office or simply as Donald Trump as some have a habit claiming he is not dignified, intelligent, decent or sophisticated enough to deserve such reference. Apparently for Donald Trump winning the election was insufficient for him to have earned being referred to as President, imagine if such were to have been said of Hillary Clinton had she won the election by the Wall Street Journal or Glen Beck; the liberal media would come unglued. Then there is the whole dust-up over “Fake News” and all which such entails. There have been some misleading stories and other simply made-up out of whole cloth stories either making the “Fake News” label valid or the entire “Fake News” story is “Fake News” all depending on which side of the political spectrum one resides. That is the basis of the problem in the United States, which we had pointed to first with The Mirage of the Unaligned Middle Voters back on June 17, 2011 and much later in Republicans Need a Real, Honest and True Blue Candidate on February 18, 2016, is the near complete lack of a true and palpable number of middle of the political spectrum voters. The American public has split nearly evenly and has polarized near completely. This has been the case for quite some time and everybody in the game understands this though often they wish to deny such and claim there is still huge numbers of middle of the road votes to be had. The media likes to pretend that there are votes to be gained by catering to the middle and running a campaign to match. Often we will see the Democrat candidate make speeches sounding out middle of the road principles and the media making a big deal about the Democrats playing it smart and running towards the middle. The reality is their voters are fully aware that it is all an act made to try and force the republican candidate to do likewise. Often this ploy in tandem with the media trumpeting the wisdom and campaign advisors who still remember what can only be called ‘the good old days’ when winning the middle of the road vote was essential and they advise the Republican to fish in those same waters as the Democrat using the old agenda that the true conservatives have no other choice and they may as well compete for the middle voters against the Democrats. The problem is in recent elections the conservative voters have been burned so often they stay home if they doubt the true intentions of the Republican candidate hoping that by doing so they can force the Republicans to nominate a true and real conservative. The Republicans, for reasons unknown, continued to play for the nonexistent center and lose with few exceptions. This last election Donald Trump refused to run to the center and simply stayed on his message and battled head to head with the media and his formula won. The media is upset with President Trump because he did not fall for their trap of moving to the middle which would have cost him the election. They are upset that President Trump appears to have gotten the better of the media by winning the election. They have become even further enraged because President Trump refuses to let up on their biases and have been giving as good as he has gotten. They are furious that he defeated Hillary Clinton, the candidate they had all but elected a week before the election and that President Trump has not been humble in his victory and refuses to allow himself to be humbled by the media. He has called the media out for their lies and false accusations against him. The media simply wants President Trump to respect them as the holders of the holy grail by telling the stories as they see fit except President Trump just continues to insist on telling the stories his way and managing to get his side out to the people with or without the media. His Tweets drive them completely up the wall and into the crazy places of the attic as it allows President Trump access to his supporters without going through the formerly all-powerful media. He ignores them and then goads them whenever he deals with them. President Trump refuses to respect the media in the way they have grown accustomed to having politicians grovel. That President Trump basically used the media as an arm of his campaign by using a mixture of policy statements and completely ludicrous and taunting statements which they carried. The media saw Donald Trump as a series of insane commentary and ignored his policy statements while carrying them because they saw them as wrong-headed and unpopular while his supporters ignored his inane, insane, accusational statements which the media took as so important and loved his message and policy statements to heart and these won him the election. The election came down to the media and Democrat Party and Hillary Clinton using their tried and true personal attacks and characterization of Trump as a dangerous and evil, hateful and mean-spirited old fool while Trump ignored every nasty attack except for the occasional quoting of these nasty commentaries or mean coverage and otherwise stuck to his message pretending that he had seldom heard a discouraging word. In the end message won over accusations. The biggest drawing from the Trump campaign was the message on immigration while the most crucial is the one least talked about as if to talk about it is stepping on the third rail of journalism, but we are not journalists or normal, so here it is as plain as we can state it, the reason that Trump won. Donald Trump remembered from history that the British said much the same disparaging things calling Winston Churchill an old fool ringing the bells of war and hatred and seeing evil hiding behind every tree and that that same old fool saved the Western World from the evil clutches of fascism. Trump also sees a rising fascism in the world in the form of radicalized Islamic extremism and names it as such and Hillary Clinton claims there is no such threat and wanted to open the floodgates allowing in as many refugees from areas where just such threats are most rampant. Donald Trump saw the danger and Hillary Clinton did not thus Donald Trump won because he was willing to call things exactly as they appear and Hillary Clinton insisted on painting pretty pictures of Kumbaya and Shangri-La where nothing was wrong and everybody was playing nice together. That was the deciding factor and nobody really wants to talk about it in the media, nobody. 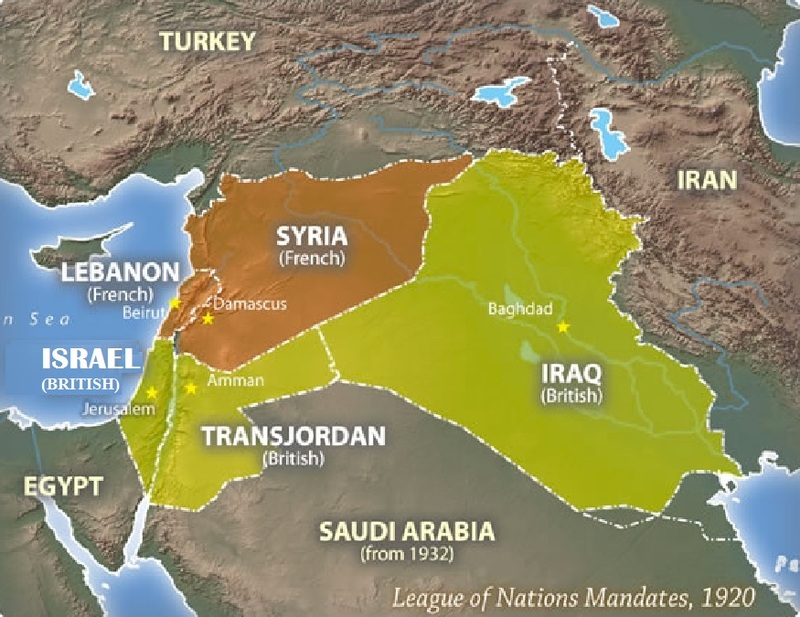 The world through governments, leaders, politicians, statesmen, reporters and editorialists all tout the “Two States for Two People” as the agreed upon mantra for the solution of the Arab Palestinian-Israel Conflict. As an example, under the heading “What is the two-state solution?” New York Times journalist Max Fisher defined the two principles as being the same: “The two-state solution would establish an independent Palestinian state alongside Israel — two states for two peoples.” Would but such be true the conflict would have very long ago been settled. Unfortunately, this is the side taken by only one of the sides in the debate, the Israelis. The Palestinian Arab leadership has a very different set of parameters for a solution. Perhaps a short list of their favorites would be in order. There is their “River to the Sea, Palestine must be free” solution in which there is one Arab state named Palestine founded upon the graves of over six-million dead Israeli Jews. Even then the Arab Palestinians would have another set of problems, what to do with these Jewish bodies and what to do with the Jewish bodies which have been interred within these borders throughout history back into antiquity. One need understand that when the Arabs claim there must not be one Jew on their precious and pure lands that includes on top, alive or dead, or beneath it no matter how long dead. When Israel surrendered Gaza they were forced to reinter their dead which only added to the calamity and sociological shock suffered by the Jewish communities which were uprooted even unto their dead friends and relatives. Imagine being forced from your home, your place of work being destroyed and having to dig up friends and family from their resting places and rebury them locating them sometimes a great distance from where they resettled making their graves now difficult to visit and tend. That was part of the horror of the plan to solve everything by simply giving the Arab Palestinians the Gaza Strip so they could prove how they could be productive and live peaceably beside Israel. Simply stated, that experiment was a dismal failure. reshaped the issue of the ‘Jewish state’ into a formula that is also unacceptable to us — two states for two peoples. They can describe Israel itself as a state for two peoples, but we will be a state for one people. 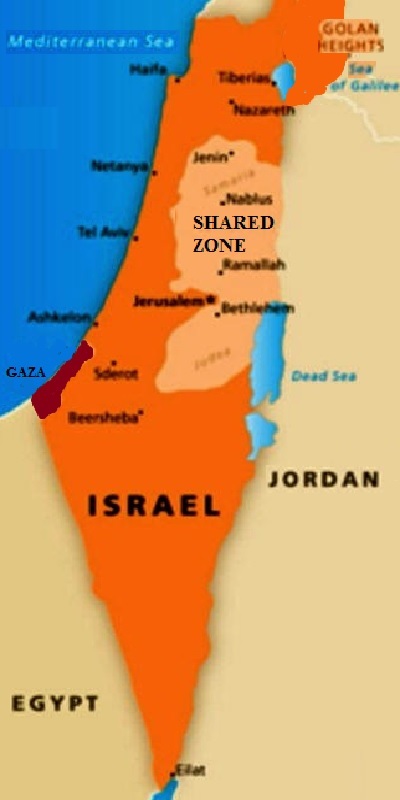 The story of ‘two states for two peoples’ means that there will be a Jewish people over there and a Palestinian people here. We will never accept this — not as part of the French initiative and not as part of the American initiative. It is not enough to have two states; there must be two states for two nations. I know very well that there are two ways to destroy Israel: from without and from within. This is why the two-state solution is not enough. We need to have two states for two separate nations. One for the Jewish people and one for the Palestinians. There is an additional slander which claims that Israeli complaints about the PA instigating violence have no basis in credibility. This has been the mantra of many reporters, editorialists, and largely European political leaders. This can be proven ridiculous simply by playing this now infamous video of Mahmoud Abbas and others speaking in the language nobody outside of a select few Westerners are capable of translating, Arabic (see videos below). These two videos are but a small example of the horrific statements almost always stated in Arabic knowing full-well that the European and American leftist and mainstream medias will pretend they are unable of making heads or tails of such statements only quoting that which these leaders of the Arab Palestinians feed them in English. We wish we could attribute this to their being lazy except with the proof of what was said already translated by MEMRI, they have no excuse other than a severe anti-Israel and thus anti-Semitic bias. Finding the lies could not be easier either, simply visit CAMERA and read almost any coverage they show about Israel and the Palestinians. Be prepared for news you may not have seen before and for much of what the nightly news has fed you to be upended with quotes and references. Now prepare yourself for our small dose of food for thought. In the December of 2000 as President William Jefferson Clinton was desperately attempting to solve the unsolvable Arab-Israeli Conflict he held a series of meetings. The crux of these attempts to bridge the gap between Yassir Arafat and Ehud Barak led to an interesting turn of events during the desperate days in Paris. President Clinton met for hours with Yassir Arafat finally getting him to actually state what terms he would accept believing the Israelis would never in a million years meet these demands. They were for Israel to turn over 90% of the “West Bank” (Judea and Samaria) and all of the Gaza Strip as well as half of Jerusalem to become the Capital City for Palestine. Late in the evening President Clinton visited Ehud Barak and set forth the terms which Arafat had given him. It took some time and arm twisting but in order to make peace Ehud Barak agreed to returning 95% of Judea and Samaria along with all of the Gaza Strip and dividing Jerusalem. Once receiving Barak agreement, President Clinton sent word to Arafat’s delegation that they were to meet early the next morning for a joint session to negotiate face-to-face. Yassir Arafat smelled that he was a rat trapped by his own admissions and ordered secretively for his car to be brought around to the front entrance fully packed, door open, and driver ready to hit the gas as soon as Arafat was in the vehicle. When President Clinton presented copies of the agreement to the two leaders, Ehud Barak reached for a pen while Yassir Arafat bolted out the long corridor. Immediately afterward, Madeline Albright dashed after the fleeing Arafat in an ungainly and borderline hideous limping gallop never closing the distance. She cleared the door to have the cameras of the news reporters recording over her shoulder the black limousine circling out of the drive with Arafat seated in the back seat. A subsequent offer was tendered from Taba later that week which was not even dignified with a response and thus ended the Presidency of William Jefferson Clinton. But wait, there’s more. Next comes along President George W. Bush and the ending of his term. He has successfully forced Prime Minister Ariel Sharon to turn the Gaza Strip over to the PA in exchange for some sweet words and fourteen promises written in a letter as an understanding between the two offices. This was supposedly an agreement between governments and this one won overwhelming affirmation from both houses of Congress garnering a total of comfortably over five-hundred votes from the combined Congress. These were the fourteen conditions under which the release of the Gaza Strip was performed and their refutation could have led to Israel retaking all of Gaza or some sections thereof. President Obama did indeed crumple up this agreement and trashed it completely with his assisting the passage of UNSC Res. 2334 during the closing days of his administration. This act will likely leave an unpleasant taste in any world leader’s mouth and be seen as a dire warning against accepting the world of any American President for the foreseeable future, especially one would hope Israeli leaders if no others. So, in late 2008 President George W. Bush and his Secretary of State Condoleezza Rice were pressing Israel once again to make the necessary sacrifices for peace. Again an Israeli Prime Minister, this time Ehud Olmert, made the supreme sacrificial offering of dividing Jerusalem and again over 90% of Judea and Samaria with land swaps for the remaining lands. This time they were dealing with Mahmoud Abbas, presumably a more reasonable and honest broker simply because instead of wearing fatigues and having a revolver strapped to his side, Abbas wears a business suit. Well, the apple did not fall far from the tree and Mahmoud Abbas proved to be a suitable (all inferences to a pun intentional) follow-up to Yassir Arafat as he officially received the offer and never even bothered to reply or make a counter offer. Instead he simply closed the negotiations with no further communication except to threaten to take the entire matter to the United Nations and the Court of The Hague and internationalize the conflict. “Nobody does Israel any service by proclaiming its ”right to exist.” It is disturbing to find so many people well-disposed to Israel giving currency to this contemptuous formulation. Israel’s right to exist, like that of the United States, Saudi Arabia, and 152 other states, is axiomatic and unreserved. Israel’s legitimacy is not suspended in midair awaiting acknowledgement by the royal house in Riyadh. Nor does a group such as the Palestine Liberation Organization have any juridical competence to accord recognition to states, or withhold it. A majority of the 155 states in the modern international community are younger in their sovereignty than Israel, which was the 59th member of the United Nations. There is certainly no other state, big or small, young or old, that would consider mere recognition of its ”right to exist” a favor, or a negotiable concession. What Israel is entitled to have in return for the increase of its territorial vulnerability is not verbal recognition but an effective security system, to be arrived at by negotiations.